Newly renovated and decorated custom home on the bluff at the mouth of the Inland Empire. Front house Facing Ocean, with no roads to cross to get to the beach! 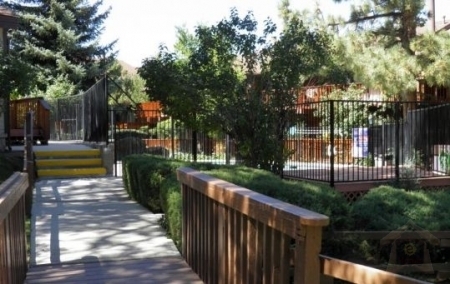 This townhome offers you a completely equipped kitchen with electric stove and microwave. 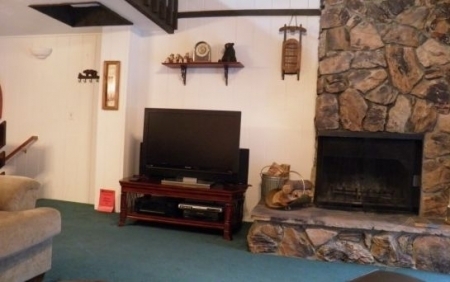 The living room has TV with cable and DVD/VCR combo, wood burning fireplace and peeks of the ocean. 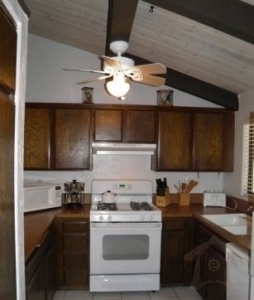 Kitchen has full amenities, including Dishwasher, Microwave, Gas Stove and a large pantry for storage. Two bedrooms and 1st full bathroom are downstairs and 2nd full bathroom are upstairs. The other bedroom has views of the ocean and harbor as well as access to the large upper deck great for soothing and visiting with friends & family! This townhome is in an excellent location in the Corfu. You are only 2 short blocks walking distance to the entrance to Ionian Island. 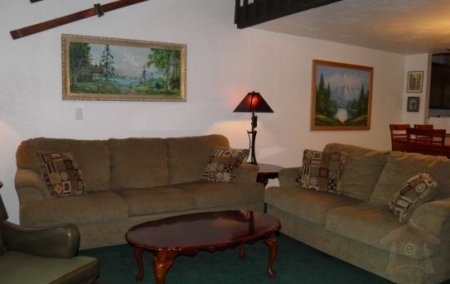 The vacation rental rates are subject to change without notice. This luxurious townhome boasts on unrivaled private beachfront location, furnished with all the comforts of home! $85 cleaning fee and 7% lodging taxes for all stays less than 30 days, $130 cleaning fee for monthly rentals, additional fees for more than 8 persons ****HOLIDAYS REQUIRE A 3 OR 4 NIGHT MINIMUM**** Early check-in's and late check-out's require an additional fee and must be arranged and paid in advance. 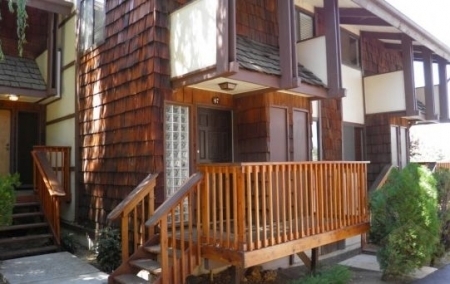 I took my 2 sons and grandchildren to Big Bear and the Snow Summit town homes are gret. The accommodations were perfect nd we loved th location. We loved the fact we could walk to the slopes. We will definitely stay here agin on our next visit. We wil also recommend to all our fiends. Couldn\'t be more convenient to Snow Summit. 3 min walk to lifts. Well equipped, comfortable and very clean. Could use a couple of upgrades, new carpet/kitchen cabinets but overall we were very comfortable and enjoyed our weekend. Would def book again, great value for money. Recently stayed in the Snow Summit Condos and did some mountain biking. 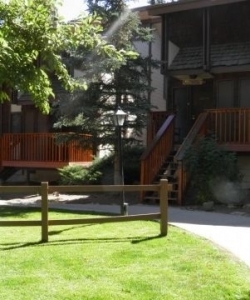 The location is great, one minute bike ride to the lift up the mountain and one minute back to your condo when youâ��re beat from the day. 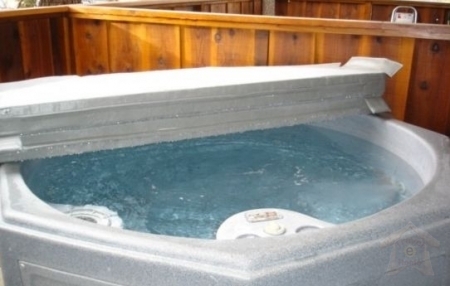 Had a clean and hot jacuzzi on the deck and everything in town is close by...great place to stay! My wife and 12 yo son had a blast at Big Bear. The condo was great and just the perfect size for us. Everything was updated and fresh. We enjoyed the hot tub as well! We were happy with our stay at this cabin for our summer mountain vacation. It fit our family of 6 perfectly. The kitchen is stocked with everything you will need to cook. I would remind people to bring x-tra toilet paper, paper towels and hand soap as there wasn\'t enough provided to last beyond a day. No problem to pack it, just wished I had. The rec room was great for playing pool, and the pool was warm and clean. My husband and kids used the spa at the condo and thought it was terrific. There are great games and movies at the condo as well. The condo is a very short walk to the Snow Summit lift chair to take to the summit and hike down. The hike has breathtaking views from the top, and when we finished our hike we were \"home\". Also has a nice running/biking trail right behind the condo. 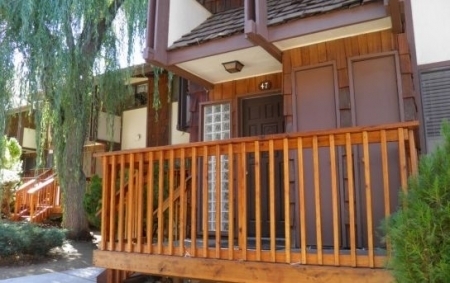 Summer in Big Bear is refreshing with lots to do. We only stayed for a night, but we would have enjoyed one more night to actually enjoy the place. Great location, short walk to tickets and slopes. Perfect for family of five. The parking lot is right there which is great, because you do not need to move your car. The only draw back is the black mud that you track into the condo because the grease and dirt from the parking lot. The place had everything you needed. We were there for such a short time that I did not complain about the cleaning. I emailed the owner about checking with the maid service because the cleaning job was poorly done. The floor in the kitchen was very, very sticky and the maid left the mop and cleaning supplies on the deck. The bedding was clean and in gerenal it was clean. We look forward to staying there again. We will be back. 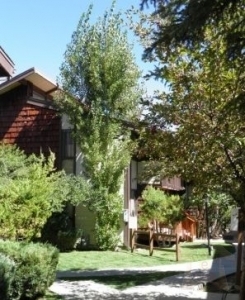 We enjoyed a very nice weekend at a cozy slopeside condominium. The hot tub, BBQ and home theater were awesome. This is such a great condo. The ski in/ski out location could not be anymore perfect. My family loved it! And we can\'t wait to book another stay! Everything s so cozy with plenty of room for everybody. Next time we\'re bringing cousins too. Love it. I loved this place!The condo had all the amenties of home, a private spa and pool access. I plan on returning next year. My only issue is with dog owners that don\'t pick up after their pets. We stayed with 2 adults and 3 kids at this condo over a weekend. The kids swam in the pool and were happy to have bunk beds and a TV with DVD player in their room! The condo was very comfortable for me and my family. 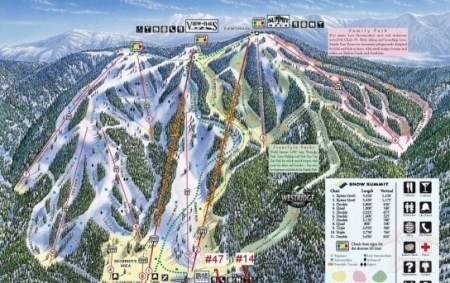 The location is great and so convenient to the slopes, stores, gas station, etc. The on site rental office staff treated us awesome and took care of all of our needs. The jacuzzi was enjoyable for our sores muscles. Highly recommended for your trip. 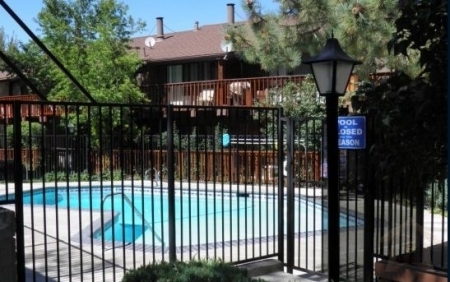 The condo was immaculate when I arrived, well-equipped kitchen, spotless bathrooms. The breeze on upper deck was wonderful for late afternoon glass of wine and BBQ. My dog loved the paths through the forest to the Village, we hiked every day. Quiet, and close to the Summit Lifts, nice pool. I would definately return. Stayed here over the crazy July 4th weekend. 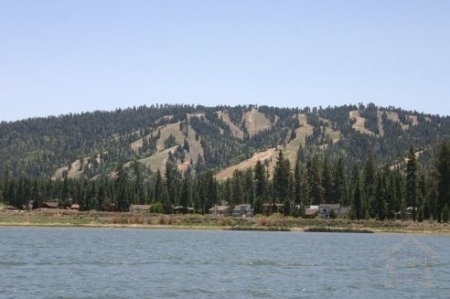 We were close enough to Big Bear Village and the lake that we could get to either in 5 minutes, but secluded enough that we never heard traffic noise or, even, our neighbors. Had a completely relaxing, soothing weekend. Kitchen has everything you\'d need, you don\'t need to pack a thing except food. We used the gas grill AND the private jacuzzi and DVD player every night. The bathrooms and kitchen were spotless. Our little dog was perfectly happy and the entire area is dog-friendly. Enjoyed walking along the pine-scented paths just outside the door. We were so happy inside our little condo that we never used the pool but it was right around the corner if we needed it. You can walk to the Snow Summit chair lifts from the condo front door. Would come again for a peaceful, relaxing weekend - so close to the City the drive was a dream. 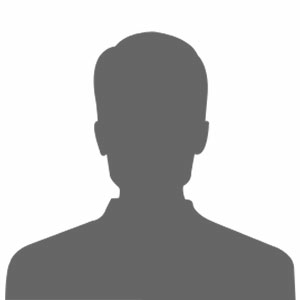 Shaun was great and very helpful and accommodating. Great find!